Last year manufacturer releases the powerful model Renault Megane GT that offers a really great look and mighty engine. However, after good sales, the company decided to release the more powerful 2020 Renault Megane RS. This sporty car will be available firstly for the customers in the UAE and GCC region and later on the other parts of the world. The new car will get attractive and sporty design followed by the powerful engine that is able to crank out 275 HP. The exterior of the 2020 Renault Megane RS looks mean and aggressive. The front of the car as the rear end will get some modification. The headlight looks more angular with sharp lines and fog lighting below. However, the rear end will get a stronger bumper with wider taillights that are powered with the full LED strips. Also, the new model will come with a suspension that sits 5 mm lower than the GT model. The handling is improved with the four-wheel steering. Also, the rear end of this hatchback will get a new exhaust system that looks sportier and it releases the decent soundtrack. Moreover, the front splitter and functional rear diffuser are the part of this car. The interior of the facelifted 2020 Renault Megane RS will be very sporty. There will be more space and more techs. The optional features include seats upholstered in Alcantara, along with steering wheel. Also, the buyers will have the opportunity to choose exclusive black headliner and red stitching. The center console is redesigned and now the new model features updated Renault’s R-Link multimedia along with the big touchscreen, Bluetooth, USB ports. The mighty Bose surround sound system with a sub-woofer is also in the offer as the optional equipment. However, the rear camera, front and rear sensors are standard on this model. 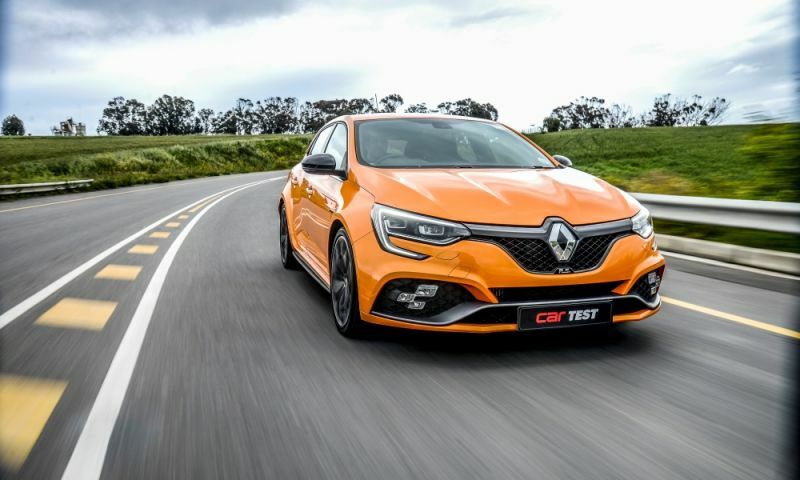 The safety system of the 2020 Renault Megane RS is also good and this vehicle will feature front and curtain airbag, hill start assist system, tire pressure monitoring system, blind spot monitor, electronic stability control and ABS. With this equipment, the buyers can expect a good safety score. 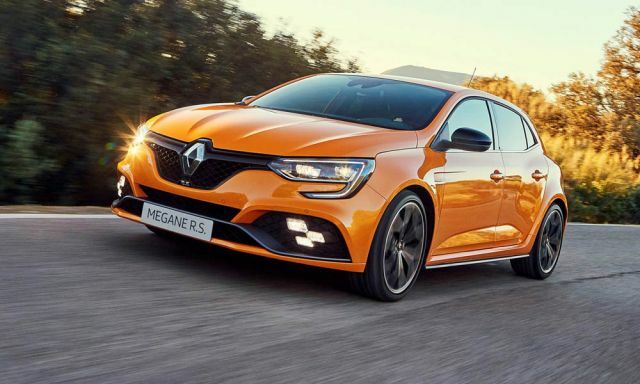 The new 2020 Renault Megane RS sports model will be equipped with a turbocharged 1.8-liter 4-cylinder engine. Total output with this system will be 275 HP and 390 Nm of torque. This engine will be channeling power to the 6-speed dual-clutch transmission and manual transmission version won’t be available in this year model. 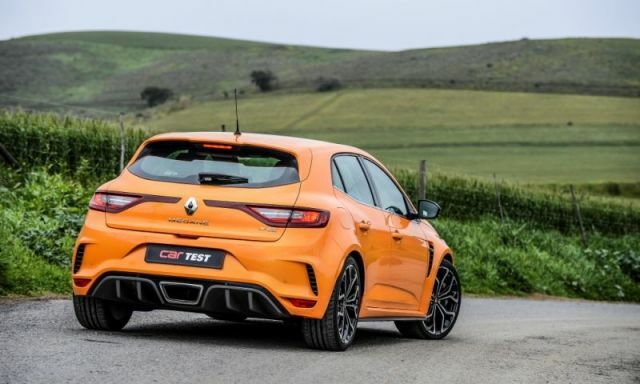 Furthermore, acceleration is also good and the new 2020 Renault Megane RS is able to run from 0 to 60 mph in just 5,8 sec. Top speed is about 250 kph and fuel economy is said to be very good. Unfortunately, at this moment, we don’t have exact numbers of fuel consumption. The upcoming Renault Megane RS from some rumors will cost AED 120,000, converted around $32,000. When released the new model will not have competitors in the hatchback category, because the models like Ford Focus ST or the Honda Civic Type R not coming to this region next year. However, with the price above, the 2020 Renault Megane RS is much cheaper than a Volkswagen Golf R.